We’ve all seen articles outlining that if you eat these types of vegetables, drink this amount of water, exercise this much, and go to sleep by this time that you’ll be filled with energy to take on the day—each and every day. Although these tips can be very helpful, the reality is that we don’t all have the same means, time, or opportunity to get this exact equation right consistently. And, even if we did, energy isn’t something that's linear. Meaning, the idea that energy is at an all-time high on Monday morning and lasts through 5 p.m. on Friday afternoon doesn’t always equate to our own personal energy cycles. We all have a unique "energy flux," which is how our energy ebbs and flows within us, according to Psychology Today. Think of it like a rollercoaster or a ferris wheel: Within that flux, we have a peak—a time when we fully energized, motivated, and positive. As well as a time when we are low—sluggish, lacking on energy, and drive. These times don’t necessarily take place equally across the board. Some folks need a few hours in the morning to really get into their groove and aren’t at their peak until about 11 a.m. Others: They don't hit a stride until even later, or that peak comes and goes in waves throughout the day. Each person has a time of day in which they are at their peak—fully energized and motivated. As well as times in which they are low—sluggish, lacking on energy, and drive. The key to getting the most out of your energy flux: noticing your peak times and lows—whenever they occur. To do so, it’s important to start monitoring your own energy. 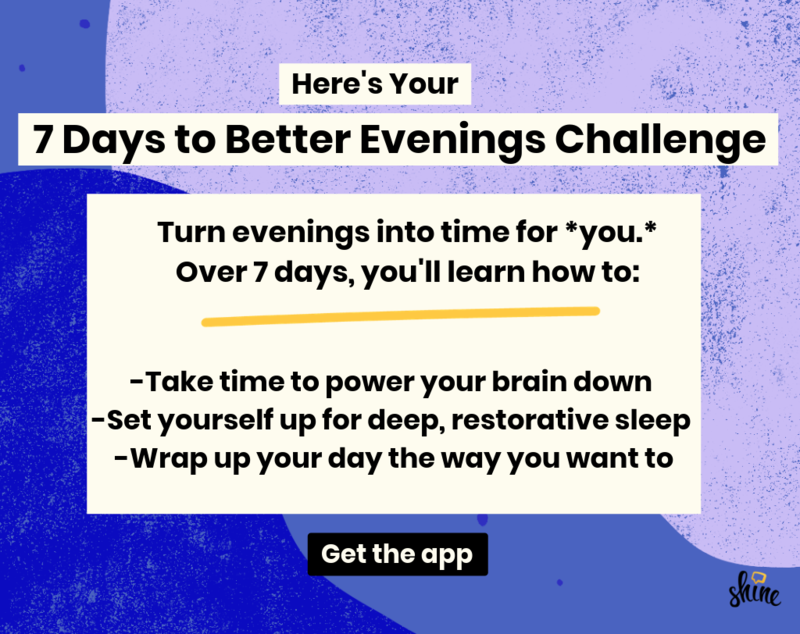 During the day, for a week or two, jot down the times in which you feel spikes in energy as well as the times in which you’re struggling to get through work. After a while, you’ll begin to notice a pattern, which you can then classify as your peaks and lows. From there, you can begin planning your day in a way that complements these different times. For instance: I’m someone who has a few peaks and lows throughout the day. My first burst of energy happens around 11 a.m., and then I hit another peak at 2 p.m. or 3 p.m. Because of this, I like to plan my most important tasks for these particular times since I'll be the most focused and engaged. Now, every day is different, and we all have unique obligations that may require us to be “on” even when it isn’t one of our peak hours. For most of us, we can't just shift the typical workday to 11 a.m. to 7 p.m. to suit our energy flux. Maybe you’re on a deadline, working on a lengthy project, and having a difficult time focusing or even keeping yourself awake. To give your body a jolt of energy it’s always best to step away from your work for a bit. A study published in the International Journal of Behavioral Nutrition and Physical Activity showed that standing up and walking around for just a few minutes throughout the day helps improve mood, increase focus, and motivation. To give your body a jolt of energy it’s always best to step away from your work for a bit. Get the blood flowing and your muscles moving with a quick 3 to 5-minute walk through the halls in your office, to/from the restroom, or kitchen. Take this a step further and incorporate a quick stretch and breathing exercise. At your desk, stand up, take a deep breath, raise your arms up, hold them there for 3 seconds and release. Do these 2 or 3 times before taking a walk or sitting back down to help release any tension. If stretching at your desk feels a bit awkward, take this exercise to the restroom where you’ll have a bit more privacy. Perhaps you eat at your desk most of the week. I completely understand—trying to find a seat in a crowded lunch spot or when you’ve brought your lunch can get a bit tricky. If you can’t take time away from your desk as you eat, try to do so before or afterward. Vitamin D from the sun and fresh air will do wonders for your senses. Research shows that taking a walk can increase creativity. A walk around the block or away from the office for 10 to 20 minutes will help you bring a fresh set of eyes to that document you’ve been working on for hours or help you feel more at ease before a big meeting. A serious myth: That "motivation" means working for hours on end without any type of break. Breaks help to restore motivation and, according to research, prolonged attention on a single task actually hurts our performance. Often times, we take breaks by checking our text messages, social media, reading our favorite blogs or chatting with co-workers. However, these can fall more in the realm of distractions as opposed to actual breaks. To help boost your energy, try taking more intentional mental breaks. Pause from working, pop in your headphones, and listen to some soothing music or a Shine App meditation as you take a few slow deep breaths for 2 to 3 minutes. You can also give your eyes a break by using the 20-20-20 exercise. Every 20 minutes, look away from the computer monitor and focus on an item at least 20 feet away for at least 20 seconds. Bottom line: It's impossible to have "peak" energy all the time. But you can notice your peaks and lows, and take steps to shift your energy when you need to be on. Own your energy flux, and own your day.